What was once perceived as a hobby run by rebels on wheels in abandoned pools has become mainstream. Skateboarding, once a culture that signified the comraderie of misfits with a newfound skill, will debut as an event at the Summer Olympics for the first time in 2020. Skateboarding is ever-changing. The first generation of skaters watch in support as the current generation moves the medium forward with a new flare. Smith, founder and curator at the Morro Bay Skateboard Museum, first started skating in the 1970s — the decade urethane wheels revolutionized skating and allowed skaters to smoothly practice new tricks that mirrored surfers on waves. Smith’s generation was among the founding fathers of skateboarding. Some people believe skateboarding was done as early as the 1920s, but the hobby rose in popularity in the late 1950s and early 1960s in Southern California, according to Smith. Without an older generation to learn from, these skaters self-taught everything we know about skateboarding today. Today, what was once a merely newfound hobby has transformed into a sport, an art, a form of transportation — a lifestyle. And now, skaters have the support of older skaters, according to Morro Bay Skateboard Museum docent Eric Terhorst. “For the first time, there are adults who skated when they were kids who can understand,” Terhorst said. 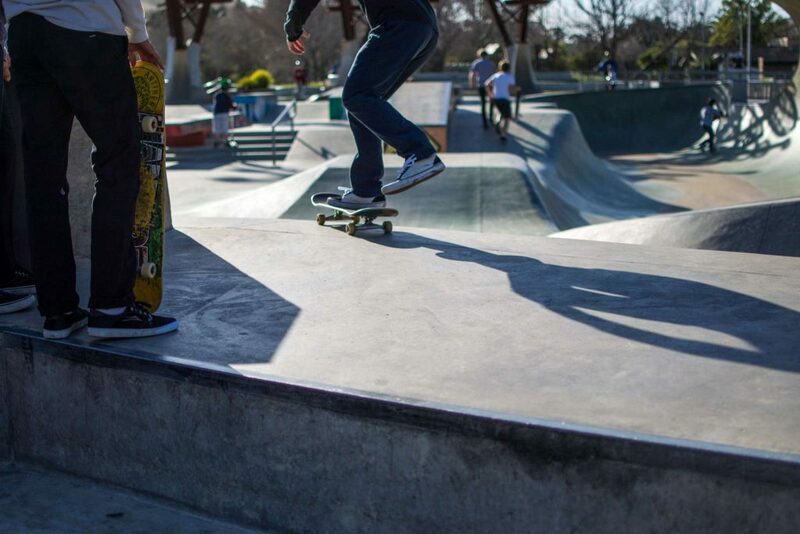 As skateboarding transcends the original demographic and rises in popularity, cities like San Luis Obispo have responded. Publicly-funded skate parks have provided skaters a free, unfenced space to practice their skills. 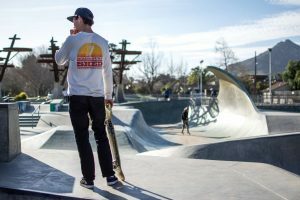 The San Luis Obispo Skate Park was constructed in 2015 after a decade of planning and fundraising, including a $50,000 donation from the Tony Hawk Foundation. The foundation ensured the park would be free to the public for all to enjoy. When the park celebrated its third anniversary in February, ambassador and former professional skateboarder Kevin Rucks reflected on its role in the skate community. Business administration sophomore Aiden Drugge agreed. He has been skating since first grade in skateparks throughout Santa Cruz, California, near his hometown. When he came to San Luis Obispo, the skaters’ skill levels exceeded his expectations. 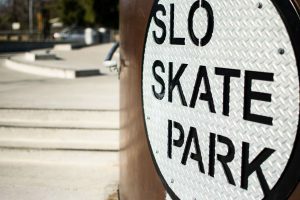 Along with their boards, each skater brings their individual style to the park — one of the many ways skateboarding differs from a traditional sport, according to Rucks. Most skaters do not have a coach to help perfect their skills. Skateboard competitions are judged, not scored. “A lot of skateboarders are very athletic, but they may not like being told what to do or how to do it,” Drugge said. The interconnectedness in the skateboarding community sets the sport apart. Surprise visits from professional skaters are not so far-fetched in the skateboarding world, according to Rucks. X Games Champion Paul Rodriguez and Street League Champion Nyjah Huston, among others, have stopped by the park to meet aspiring skaters and show off their skills on camera. Drugge was at the San Luis Obispo Skate Park one afternoon when the film crew for “Thrasher Magazine’s” “King of the Road” appeared. The early skaters in the 1970s sought something new. Terhorst predicts the future of skateboarding will mirror the original generation of skaters’ yearning to cross new territories. They will continue to move it forward. “They are always looking for another way to skate that hasn’t been stepped on yet,” Terhorst said. From street to transition skating, and downhill to freestyle skating, new styles move skateboarding forward. According to Drugge, it is a sport, an art and a way to get around, all in one. “That’s why it’s the best,” Drugge said. Correction: A previous version of this story stated that electric skateboarding was permitted on campus. This has been removed as all skateboarding is illegal per Cal Poly CAP 359.4.